Representatives from New Restaurant of the Year finalists. Photo credit: David Claypool. The finalists for the 2015 RAMMY awards are out. See who received nods advancing them as contenders to win a RAMMY on June 7. 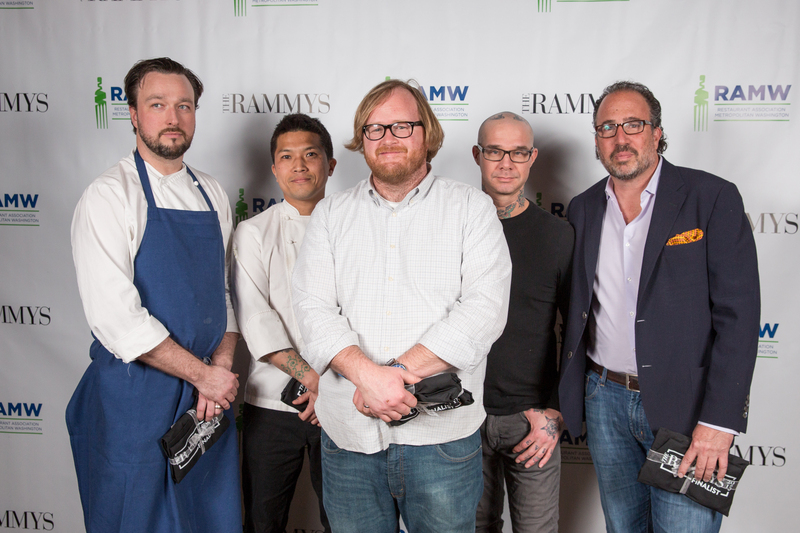 As a reminder, only members of the Restaurant Association of Metropolitan Washington (RAMW) are eligible, and some categories disqualify those who’ve won in the past five years. Click on the links to see the Best Thing on the Menu! This entry was posted in Special Edition and tagged Blue Duck Tavern, Bourbon Steak, Casa Luca, ChurchKey, DCity Smokehouse, Del Campo, DGS Delicatessen, G by Mike Isabella, Kapnos, Le Diplomate, Mintwood Place, Proof, RAMMY, Rasika, Red Apron Butcher, Restaurant at Patowmack Farm, Ripple, The Arsenal, The Partisan, The Red Hen, Tico. Bookmark the permalink.